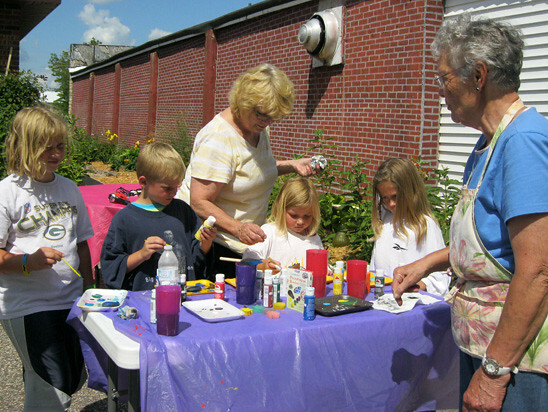 The Master Gardener Program in Wood County started in 1997. Over 443 people have been trained since that time, and there are currently 60 certified Master Gardener Volunteers (MGVs) for 2018. The UW-Extension Educator facilitating the MG Program is Horticulture Educator Jeremy Erickson. MGVs oﬀered a variety of public programs for 2,344 youth who experienced designing/planting a Youth Art Gallery Garden, created boot/shoe succulent planters, learned how to grow a sunflower at a children’s festival, how to plant/harvest produce at community gardens, the value of a monarch garden, the value of composting, names of plants, how to plant bulbs, all about pollinators, and the importance or growing their own food to eat and share with friends, family, others. They also learned leadership and speaking skills as they presented a garden tour of their school gardens to MGVs. MGVs engage and educate the public in numerous presentations, festivals, fairs, plants sales, farmers markets, individual conversations and other events. To document these contacts we developed a Self- evaluation Form and a Year End Tally of Community Education Form which are filled out all year long and then handed in Oct. 1st along with hours form. In 2017 we made contact with 9,351 adults in a variety of settings. 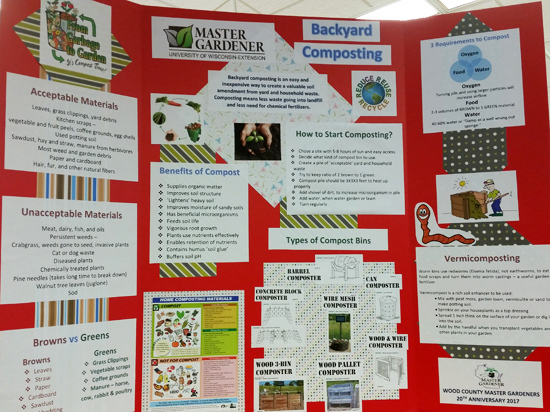 This year we took our Ask a Master Gardener program to the fair for 6 days. Our booth display included our 7 display tri-folds created to celebrate our 20th Anniversary plus gardening information. We oﬀered handouts about the most popular topics, insects, diseases and other garden related materials and had a form to ask questions that would be answered later. We have a demonstration garden on the fairgrounds which drew huge crowds with numerous questions.